No review is ever truly conducted in a vacuum, but Star Wars: Battlefront II arrived in a storm. And rightfully so, I might add. Battlefront II is the perfect capper to a holiday game season plagued by predatory monetization schemes, a game so unabashedly toxic it finally became a scandal. You’ll find a rack of pitchforks in the corner, or for those who prefer to observe internet drama from a safe distance there’s a popcorn maker on level two. Consider: Monday, EA received the most downvoted comment in Reddit history over Star Wars: Battlefront II's progression system. Tuesday, it cut all hero costs in the game by 75 percent in response. Wednesday, DICE employees hosted a disastrous Reddit Q&A session that only further fanned the flames. Thursday, the scandal grew so large it hit mainstream sites like CNN, prompting a phone call between EA CEO Andrew Wilson and Disney CEO Bob Iger, and then the temporary removal of Battlefront II’s real-world currency. And on Friday? 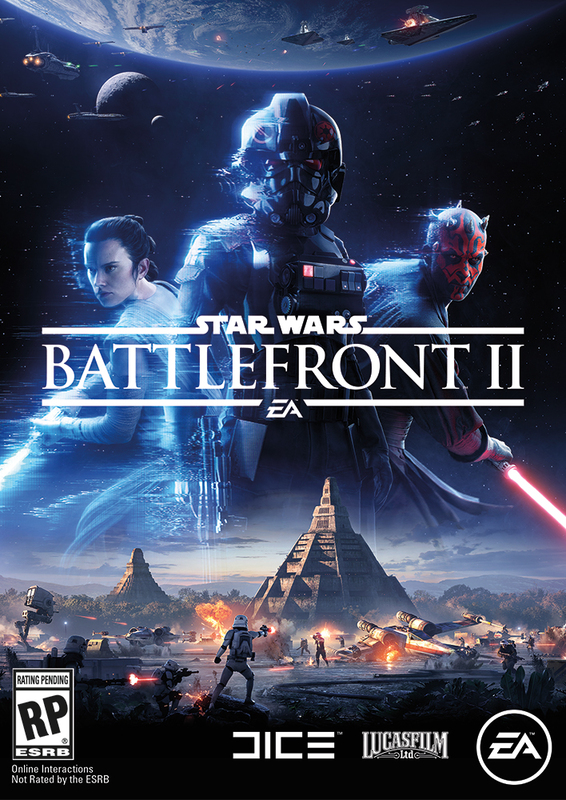 Friday, Star Wars: Battlefront II ($60 on Amazon) actually officially released. Needless to say, writing a Battlefront II review at this point is like fencing against ghosts. I’m going to give it a shot though, because the reality is this: Star Wars: Battlefront II is mediocre regardless. 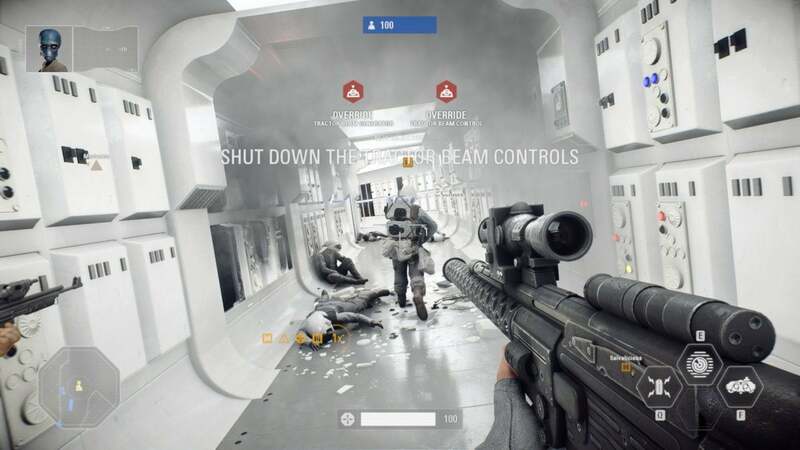 No matter what DICE “fixes” over the next few weeks, its fundamental flaws will remain. It pains me to write that because at E3 I felt pretty hopeful. 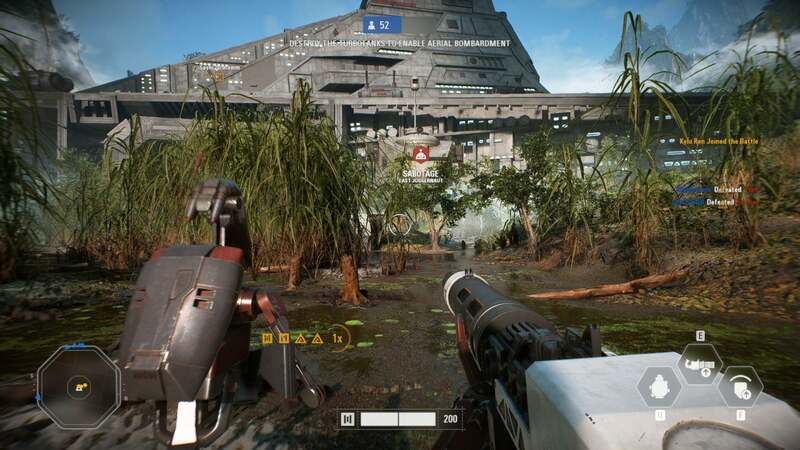 DICE did appear to hear the criticisms from the first game and adjust accordingly. Singleplayer! Space battles! A class system! The Star Wars: Battlefront II feature list read like a checklist of items missing from the previous iteration. And all that stuff made it in the game. Alas, so much of it is bad. The campaign is probably the most disappointing aspect, if only because it had the most potential. 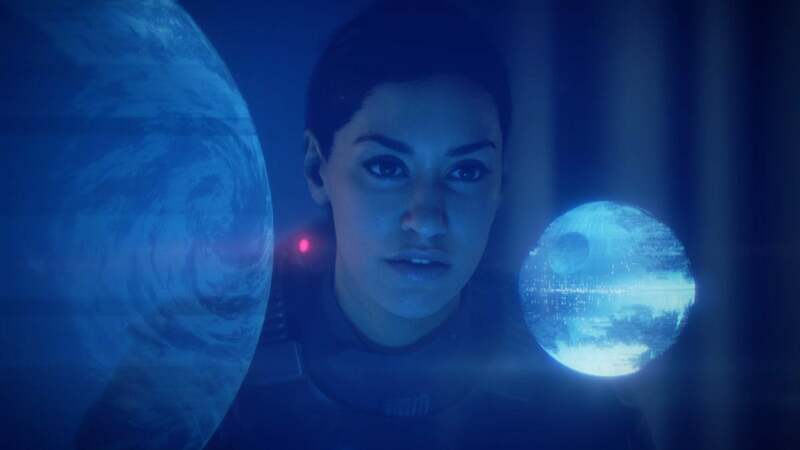 In theory, it sounds great: You play as Iden Versio, daughter of an Imperial Admiral during the waning days of the Empire. 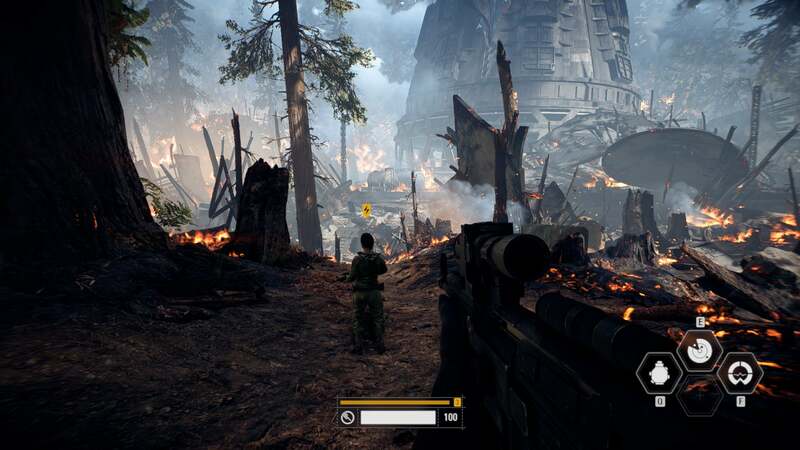 As Versio you’ll get to play out the battle of Endor from the Empire’s side, witness the explosion of the second Death Star from her position on the ground, experience the chaos of Palpatine’s death. Problems crop up immediately though. For one, it seems like someone at either EA or Disney had no faith in Versio’s story, or in the idea of a Star Wars game sans-fan service. As a result, Versio’s story is interrupted every mission or two to awkwardly Forrest Gump-style shoehorn in some of the heroes you know and (presumably) love. These sequences are abysmal. The best one is yawn-inducing, the worst is Luke Skywalker fighting against hundreds of beetles. 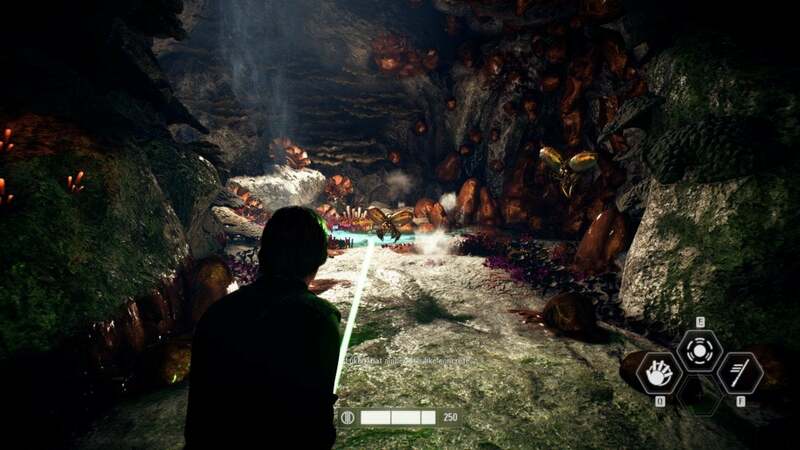 I’m serious: You, Luke Skywalker, the last Jedi in the known universe, swing your lightsaber for upwards of five minutes to kill off fist-sized bugs. They’re not even threatening! Not force-wielding bugs or something! Just slightly overlarge space beetles. And remember, this is canon now. Versio’s story isn’t much better on its own though. Character motivations are all over the place, “twists” are about as telegraphed as they come, and many of the particulars are asinine. [LIGHT SPOILERS AHEAD] I don’t want to dwell too much on specific plot points, but to give you an idea: Early in the story, Versio finds out Palpatine prepared a plan for after his death. Here’s the gist: The Empire, in order to strike fear into the galaxy and dissuade people from joining the rebels, is instructed to use Death Star-style orbital lasers on its own cities. Not Rebel strongholds. Imperial cities, full of Imperial citizens who presumably work in Imperial factories and maybe even become Imperial Stormtroopers. Worst of all: It’s not even finished. Or at least not fully released. After spinning its wheels for five hours the campaign just ends, because apparently a few missions were held back until December 13—timed to release alongside The Last Jedi in theaters. It’s billed as “Free DLC” but that’s just a fancy term here for “Here’s an actual conclusion and not an ellipsis.” I don’t know whether it was held back for spoilers or simply for The Last Jedi buzz, but it’s another reason to not even bother with this campaign yet (if ever). In any case, the 2005 Battlefront II had more to say about the Star Wars universe than this. Which brings us to multiplayer—or at least the iteration of Star Wars: Battlefront II multiplayer that exists on Friday, November 17. It’s already changed twice this week, with more changes apparently yet-to-come. As I said up top though, I don’t think it matters. 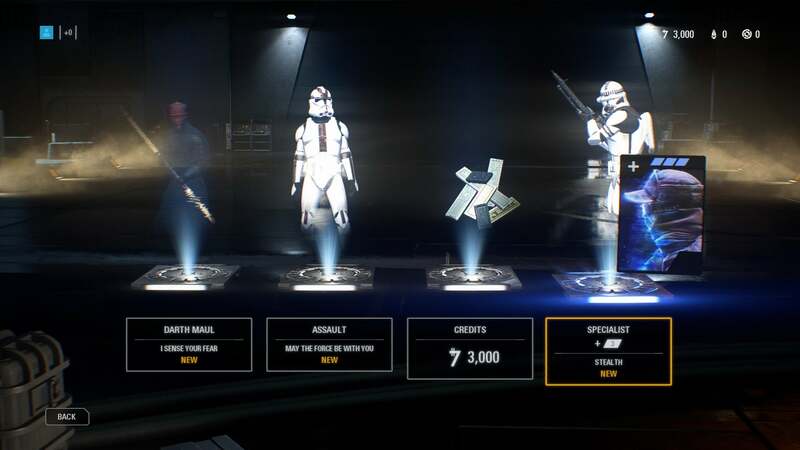 DICE can tweak the drop rates and the prices of heroes and what-have-you to its heart’s content—there’s no fixing this progression system, in my opinion. Nor is there fixing the fact that the multiplayer is just...fine. Let’s dig into the latter aspect first, because it’s probably the most stable. 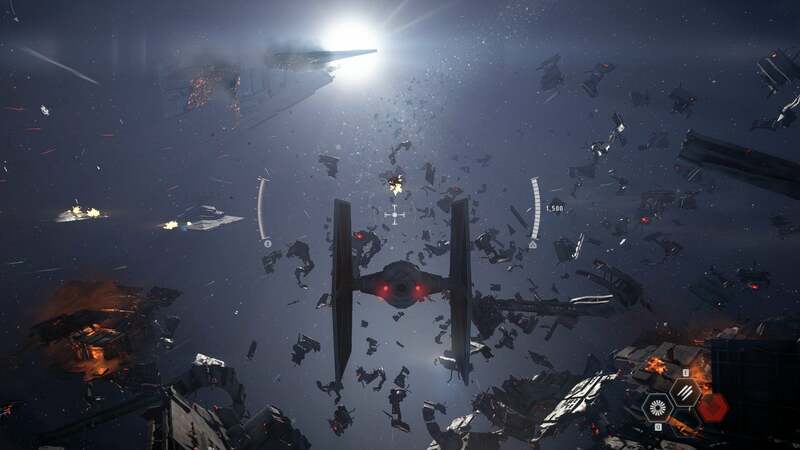 There are two main multiplayer modes in Battlefront II: Galactic Assault and Starfighter Assault. Starfighter Assault is good. Not great, but good. DICE’s rendition of space battles isn’t very complex, consisting mostly of rock-paper-scissors dogfighting and a few “Shoot this weak spot” objectives, but it controls decently and is fairly satisfying to play. 2005’s Battlefront II was still more innovative, allowing (even requiring) you to seamlessly land your X-Wing/TIE Fighter on enemy ships, get out, and fight on foot, but as an arcade-y space game Starfighter Assault will serve fine. Galactic Assault has major issues though. 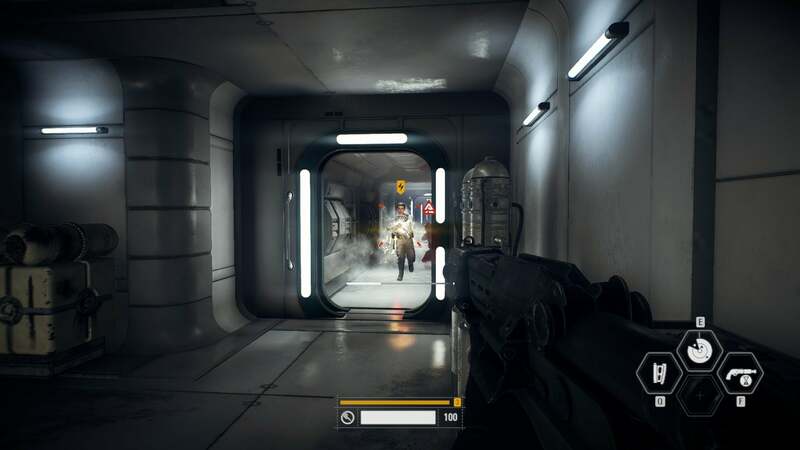 Basically, DICE took the objective-based Walker Assault mode from the previous Battlefront and made it larger and more flexible. Instead of every match being “Blow up the AT-AT,” Galactic Assault broadens the possible objectives. Objectives usually come in three flavors: 1) Guard (or try to destroy) an AT-AT stand-in, by which I mean any large vehicle. 2) Capture (or defend) some number of regions. 3) Arm (as in Battlefield’s Rush mode) some number of terminals. These are mixed and matched in various ways. For example, there’s a Galactic Assault map on Kashyyk where Battle Droids shuttle two troop transports forward, then (if they make it that far) capture two AA guns, and finally burst into a large hangar area to arm two more points. 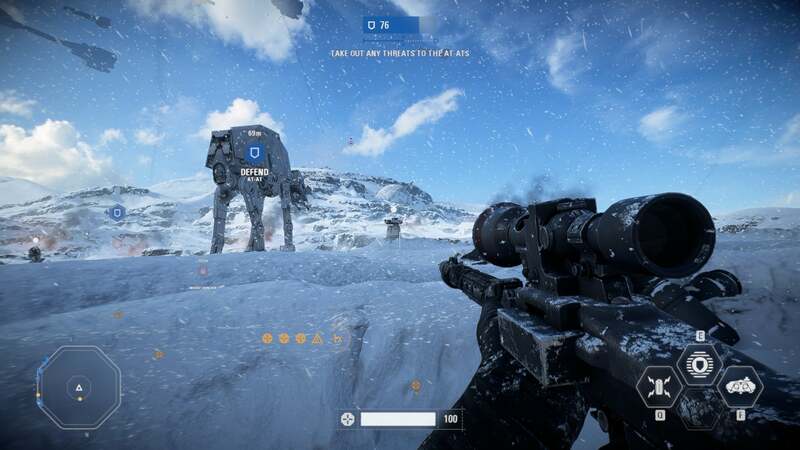 Some maps have no AT-AT stand-ins at all, others (like Hoth) still use that for most of the match. A few even creatively swap roles, such as the Endor map where Rebels steal an AT-AT at the beginning and it’s up to the Empire to take it down. When it works, it's okay. 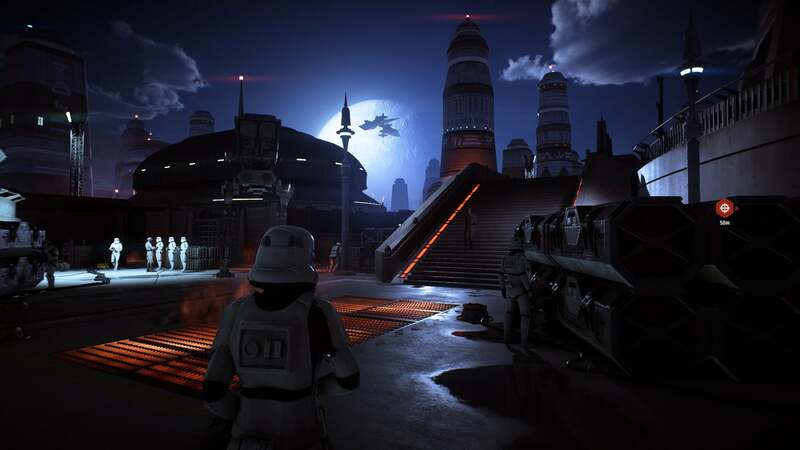 Like the previous Battlefront, there is some magic to the way DICE has recreated these locales. The Death Star map is particularly impressive here, with all its weird wall-lighting, but Hoth, Endor—even the prequel maps are spectacular to look at. This issue is exacerbated by the new hero system. Heroes in the previous Battlefront were governed by tokens—the same way as vehicles. These tokens would appear on the map at set intervals, allowing players to enter the match as Darth Vader, Luke, and so on. Not anymore. In Battlefront II, players now earn “Battlepoints” for each action in a match. Die? 100 points. Kill an enemy? 100 points. Capture an objective? 500 points. And so on. When you die, these points can then be cashed in to spawn as special units. An AT-ST might cost 2,500 points for instance, while someone like Luke Skywalker might cost 8,000. The problem is two-fold. Nobody has any interest in a unit that isn’t a top-tier hero, so you almost never see people spending 2,000 points on (for instance) the special jetpack-equipped soldiers or anything. And heroes aren’t limited per map, nor do they (as far as I can tell) carry a cooldown post-death. This second point is the real issue. You can guarantee, thanks to the first issue, that by the end of the match most people have banked 8,000-plus points. This means the second half of the match is almost always a revolving door of Jedi/Sith. You kill one, another appears. You kill that one, another appears. It completely unbalances the game and makes it zero fun to be stuck as a lowly grunt when it happens. I’ve had situations where we had 10 people capturing a point, all on our guard, and then Yoda blazed into the room and killed literally all 10 of us before someone could take him down. That’s not fun—at least, not for the people who aren’t Yoda. Every match I’ve played has felt like a race for heroes. Playing against them is a nightmare, and since they’re not on a cooldown you’re playing against them pretty much constantly. Normal soldier-on-soldier combat isn’t great either though, and this is probably the most baffling part to me. Gun models are slightly better than they were in the first Battlefront, with DICE apparently deciding “Okay, forget realism, recoil is better than bullet spread.” Fine, whatever. But the guns you start off with in Battlefront II are terrible. The first sniper rifle? Not even a headshot kills enemies. The Assault class’s first blaster is similarly terrible, with all the impact of a rubber-band gun. Worse: Since progression is no longer tied to your level, you need to get 50 kills with the first weapon before unlocking the next—or, of course, hope that the one you want drops in a loot box. Which I guess brings us to the dumpster fire in the room. I’m not going to bother rehashing all the particulars of Star Wars: Battlefront II’s progression system, if only because it’s all apparently subject to change at a whim. But basically: Instead of your progress in the game being tied to completing a match, it’s instead tied to loot boxes and the “Star Cards” contained therein. 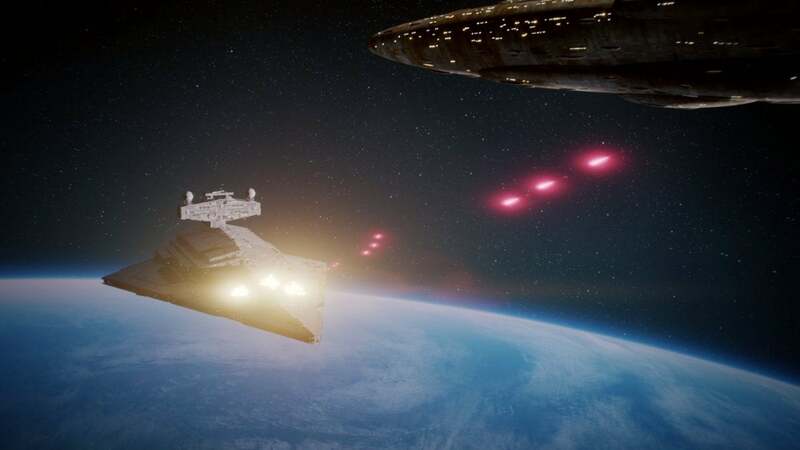 Each class can equip three Star Cards at a time, and the lower-level versions of these are often boring—a starship that turns 3 percent faster, for instance, or a cooldown reduction of 5 percent. Each card comes in four increasingly rare variants though, and the top-tier cards are often game-changing. Instead of a cooldown reduction of 5 percent for instance, it might be 20, 30, or even 40 percent. Or you might earn Battle Points 20 percent faster. It gets worse. Classes only level based on how many cards you accrue, not how much time you spend playing them, meaning you have to hope the RNG gods are friendly if you want to actually have a viable build. Since cards cover maybe a dozen base classes plus probably 20 heroes, and each class has 15 or 20 cards, you’re talking probably 500 to 600 Star Cards in the game, each with four tiers of rarity that could drop from any given loot box. Loot boxes have 3 to 5 items each, so...well, you do the math. Oh, and loot boxes are further cluttered with useless Victory Stances and skins, which makes it even harder to get what you need. I hate literally everything about it. It’s no fun to dig through menus to equip a bunch of similar-sounding bonuses to each class. It’s no fun to die and see the person you died to had three top-tier cards slotted and you had none. It’s no fun to open a loot box and get five trash items for classes you don’t play or, worse, heroes you haven’t even unlocked yet. It’s no fun to manage “Crafting Parts,” an entirely separate currency you get primarily from loot boxes and use to upgrade your cards to better versions. And I don’t think DICE can fix it. That’s the takeaway, here. EA already temporarily removed people’s ability to buy “Crystals,” the real-world currency you could previously exchange for loot boxes. 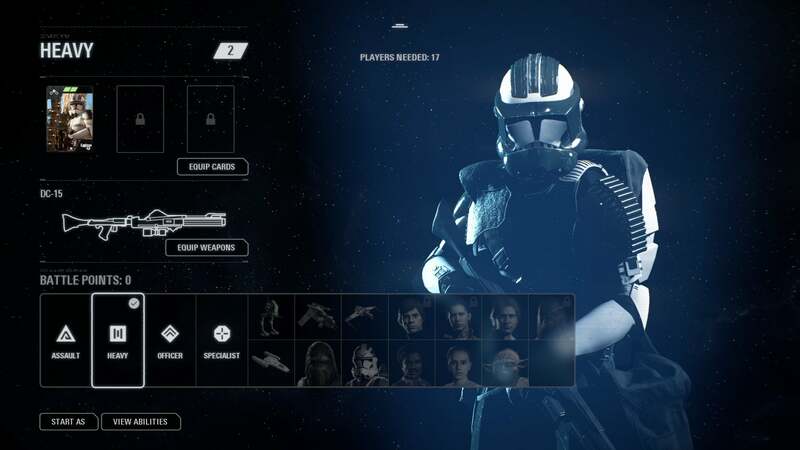 That act didn’t “remove” microtransactions from Star Wars: Battlefront II though—not really. The multiplayer framework was still built around those microtransactions. The ghosts are there. It’s almost impossible to play Battlefront II the traditional way and have a good time, because the whole system was built on a grind. All they’ve done is made it so you can’t pay to escape it. Now everyone has to suffer through the crappy version. Even if they fix it I’m not sure it matters though. The campaign is underwhelming to a fault, and multiplayer is a drag. It has all the same flaws as the first game (unbalanced maps, 40-player cap) and introduces a few new ones (hero onslaught, mediocre starting weapons). Star Wars: Battlefront II looks and sounds stunning, but that’s about the only compliment I can give. Everything else is mediocre at best. What a weird misstep, considering we gave Battlefield 1 PCWorld's 2016 Game of the Year honor. Maybe Battlefront is just cursed.